Posted May 1802, 2017 by Padraig McCullagh & filed under News. As part of our community outreach programme we believe in supporting law students achieve their full potential and to reward their academic endeavours. 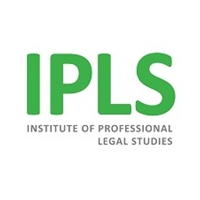 For the past number of years therefore we have presented a bursary to the Best Performing St udent at The Institute of Professional Legal Studies in recognition of their negotiating abilities. We are delighted this year to announce the recipient of the McIvor Farrell Prize for Negotiation Skills as Ms Rachel Black. We look forward to presenting Rachel with her well-deserved award at the Institute’s Prize Giving Ceremony at The Whitla Hall, Queens University Belfast on the 28th June 2017.